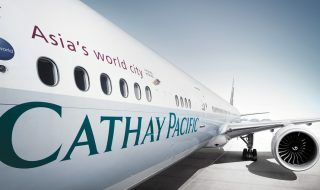 Planning to travel? 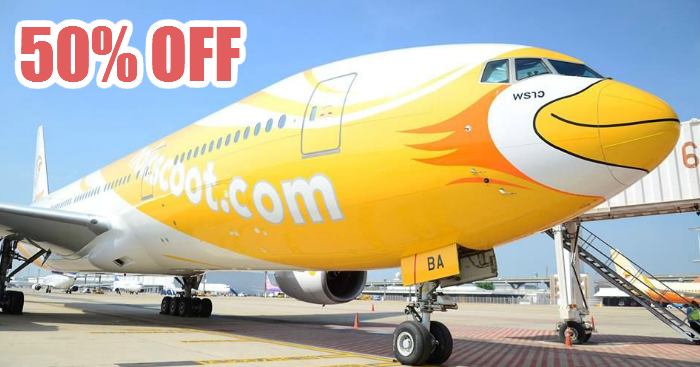 Take advantage of Scoot’s 50% off Sale! 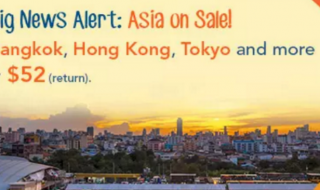 Scoot is running a 50% off sale to over 50 destinations from 7 to 9 February 2019. 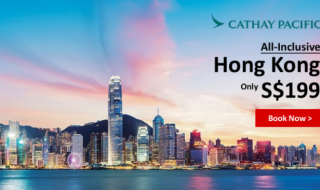 Enjoy HALF THE PRICE to destinations including Bangkok, Hong Kong, Guangzhou, Bali, Sydney, Melbourne and more! Use promo code MARCHON to access the fares. Who are you travelling with? 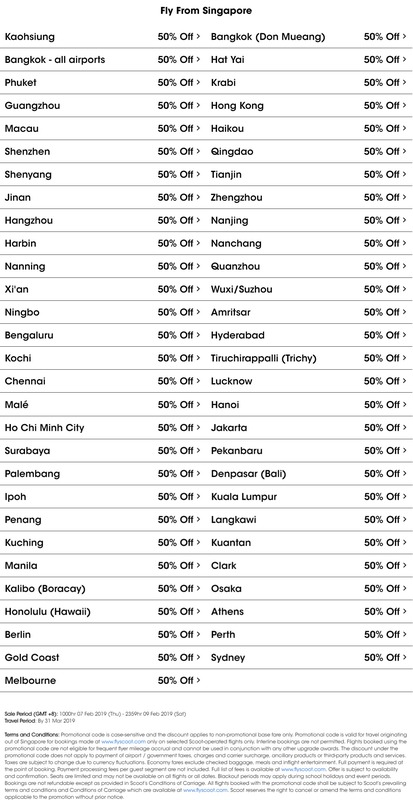 Share these promo fares with your friends and loved ones! 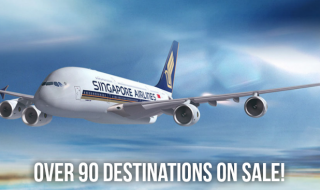 Singapore Airlines launches huge flight sale to over 90 destinations. Book from now till 20 March 2018.